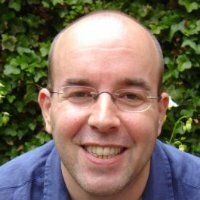 A one person company founded in April 2004 by Stephan Lammen, after serving in several roles inside finance departments on the payroll for 9 years for amongst other organisations like: Dell Computers, Cambridge Technology Partners and BindView. Initially the set up was to provide services over a broad spectrum amongst others serving as an administrator for small companies outsourcing their administrative needs, providing tax services for small companies and private persons, recruiting/consulting for finance functions and interim finance management. In 2007 the decision was made to only continue with the interim management/consulting and to stop the other activities. Stephan Lammen, born in 1973 in the town of Amstelveen, a practical experienced person in financial accounting. Since 2004 completed successfull projects as interim manager/consultant in the following disciplines: General Ledger, Budgets and budget models, Setting up and improving financial reports, Payroll, Credit Control, Department Management, Process descriptions, Sarbanes Oxley, Implementation and setting up Financial Accounts both on local level as for international organisations next to that managed several other non- finance disciplines like managing the lease cars, security and purchasing. My Vision on financial accounting and the role of the interim manager in that scheme is the following: The financial accounting department is next to the department processing the financial facts of the company and checking and controlling them also the department that is in the front line when it comes to risk management and taking care of the delivery of the most accurate management information in time for the decision process. The role of the interim manager in this is taking the experience and best practices learned across branches and organisations as a base to quickly analyse the current state of the administration and pick out the points where improvement can be made to enhance the efficiency. In my experience every administration can be run more accurately and efficient and almost everywhere costs can be cut.